A Pulitzer Prize–winning reporter at The New York Times, where he writes for the business section & author of The Power of Habit about the science of habit formation among individuals, companies & societies. 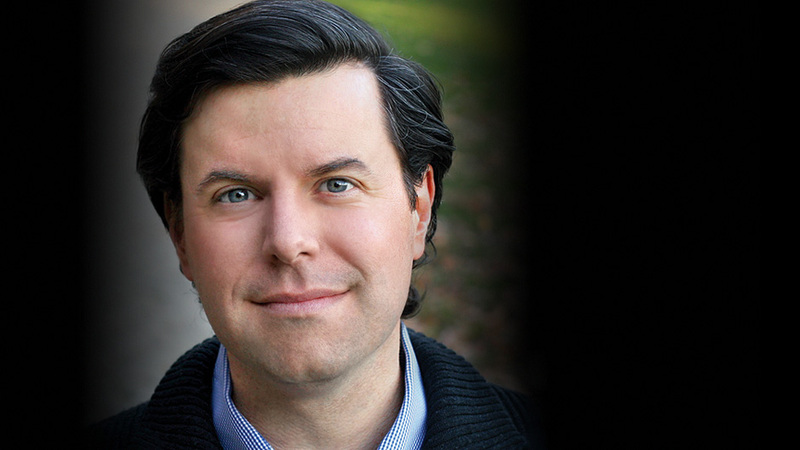 Charles Duhigg was awarded the 2013 Pulitzer Prize in Explanatory Reporting as a member of The New York Times staff for the series “The iEconomy,” which examined Apple’s manufacturing practices overseas and what those practices can tell us about the American economy. Duhigg is also the winner of the National Academies of Sciences, National Journalism, and George Polk awards, and a frequent contributor to television and radio, including PBS NewsHour, Frontline, Dr. Oz, This American Life and various programs on CNBC and NPR. He is a graduate of the Harvard Business School and Yale College. Charles Duhigg’s The Power of Habit: Why We Do What We Do in Life and Business has spent over a year on the New York Times bestseller list. The book contains specific strategies that can transform lives and workplaces. It details scientific studies on boosting willpower, replacing bad habits, and revolutionizing companies’ productivity. Duhigg’s book The Power of Habit—a mainstay on the New York Times Bestseller List—and his accomplishments as an investigative reporter for The New York Times have made him an in-demand speaker for organizations such as the UCLA School of Management, M.I.T., The Johnson Foundation and the Pasadena Art and Science Festival. Full of compelling narratives, Duhigg’s lectures draw on insights from the likes of Howard Schultz (Starbucks CEO), Tony Dungy (Super Bowl-winning football coach), and Bob Bowman (coach of Olympic legend Michael Phelps). A Pulitzer-prize winning New York Times investigative reporter, graduate of Yale College and Harvard Business School and a frequent contributor or guest on The Colbert Report, NPR’s This American Life, Frontline and other programs. Mr. Duhigg has spoken to audiences as varied as MIT, the SC Johnson Company, the Aspen Institute and the Pasadena Art and Science Festival. As eloquent and engaging in person as he is on the page, Mr. Duhigg will have you rethinking your entire world. Productivity is often measured by the speed at which we tackle our to-do lists. Real productivity, however, comes from thinking differently: Managing how we identify goals, construct teams, direct our focus and make decisions. In this lecture, Charles Duhigg looks at what separates the merely busy from the genuinely productive by exploring eight key critical concepts. 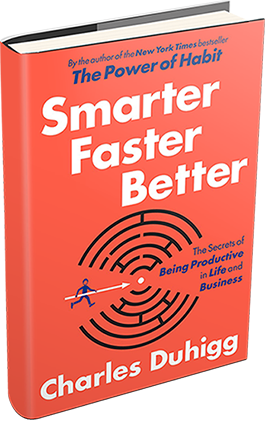 With case studies from U.S. Marine Corps boot camp, the making of Disney’s Frozen, and how Google sought to build the perfect team, Duhigg explains how people and companies become smarter, faster and better. Drawing on in-depth research, Charles Duhigg looks at two fundamental approaches to managing others: Decentralizing decision-making and creating commitment cultures based on trust. By looking at how the FBI used the Toyota Production System to solve a kidnapping case, Duhigg describes what happens when decision-making is transferred to those closest to the problem, with results sure to astound companies from any industry. Accelerating innovation is a key goal for almost any company. But innovating on a deadline can be torturous—unless you understand how creativity works. In this fascinating lecture, Charles Duhigg looks at the making of Disney’s Frozen, a film on the brink of collapse until one small shift helped spur a creative breakthrough that led to one of the highest grossing movies in history. With multiple case studies, Duhigg explains that improving the creative process relies on intellectual middlemen—or ‘idea brokers’—who help us establish the right creative tensions, see old ideas in new ways, and ensure that the thrill of breakthrough doesn’t blind us to better alternatives. In this keynote lecture, Charles Duhigg begins by exploring the science of habit formation, illustrating why we do what we do and how we can change it. Duhigg explains why the most powerful habits have emotional cores, and how tweaking even one habit can have staggering effects. Duhigg draws from a number of current case studies—including the success of Febreze, how Starbucks trains employees in willpower habits, how organizational habits contributed to a tragic subway fire, and others—customizing them to his specific audience. Charles Duhigg discovered that Target, using Big Data, built a predictive model so precise it could tell when shoppers were pregnant—sometimes, even before their parents knew. Increasingly, algorithms and data drive business decisions. At the heart of these models is a basic question: why do customers habitually return to certain products and services? And how can companies influence those choices? Drawing on stories from multiple industries, Duhigg delivers riveting insights into how companies predict and control habits and ultimately know what customers want before they themselves do.